Trying to eat healthy can sometimes get frustrating, especially with the constant thought of what to eat and what’s off limits; however, improving your diet shouldn’t and doesn’t have to be difficult. 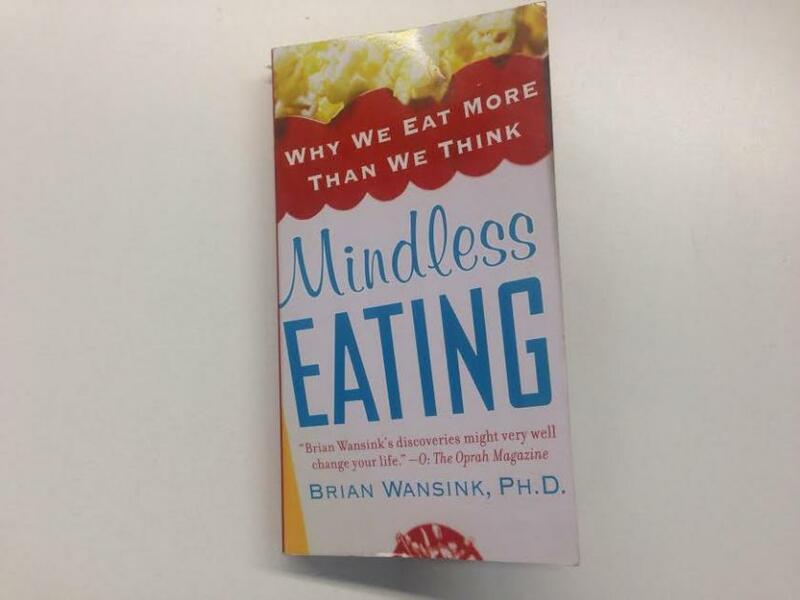 I spoke with Dr. Brian Wansink to learn more about how to mindlessly eat better. Wansink is a Cornell University professor who has spent the last 25 years studying eating behavior and has conducted studies on tens of thousands of people through the Cornell University Food and Brand Lab. In addition, he is the lead author of over 200 academic articles and books on eating behavior, including best-selling Mindless Eating: Why We Eat More Than We Think and the forthcoming Slim by Design: Mindless Eating For Everyday Life. 1. Stop eating when you’re full, not finished. In a "bottomless soup bowl" experiment, he recruited more than 60 people for a soup lunch. The participants were told not to touch the bowls, as they were connected to hidden tubes under the table that slowly automatically refilled the bowls. As Wansink predicted, the participants didn’t stop when they were full, but kept eating and eating and eating, without even realizing what was occurring. 2. Adjust the size of your dishware. Using an 8-inch plate, instead of a 12-inch plate will limit your portion size. Same goes for big dishes and big spoons. As the size of our dishes and utensils increase, so does the amount we eat. And unless you’re drinking water, stick to using tall, thin drinking glasses, rather than shorter, wide ones. 3. Eat when you’re hungry, not by the time on the clock. Using a clock to tell yourself when you’re hungry is especially strong for over-weight people. The late Stanley Schachter conducted a study where he put obese and normal-weight individuals in windowless rooms for a full day with all the food they could eat. Each room had a clock that ran two hours faster than normal time. Majority of the normal-weight people used their “internal clock” and ate when they were hungry, whereas, the obese participants tended to focus on the time. 4. Serve your food from the counter, not the dinner table. Wansink notes a "meal stuffer" can have two problems, either they put too much food on their plate or they have too many refills. “If the problem is having too many refills, an easy solution is not to tell yourself "no," but to serve off the counter. I can go back for seconds or thirds, but I have to get up and walk 6 feet to do it,” Wansink told Medical Daily. With men, Wansink found this decreases how much they eat by 29 percent, but only nine percent with women. 5. Order what you want at restaurants, but be mindful. “Nobody goes to a restaurant to go on a diet. Order what you want, but limit yourself to two additional items: appetizer and bread, bread and a glass of wine, two glasses of wine, or dessert and a coffee. Pick what you want most, but don’t pick everything you could possibly eat,” Wansink said. Wansink has conducted over 600 food studies. “What really shocks me is regardless of how smart somebody is, regardless of how irrefutable the evidence is, once you show them the size of the plate or how the lighting influenced what they ate, people refuse to believe they were influenced by something as silly as the size of their bowl,” he said. For more tips about how to mindlessly eat better, check out Wansink’s book, Mindless Eating: Why We Eat More Than We Think. Stay tuned for the Sept. 23 release of Slim by Design: Mindless Eating For Everyday Life.